King of the Toy Box! 24-inch tall Godzilla invades your collection! Features 12 points of articulation, including the tail. Godzilla can't wait to stomp your other action figures! As seen in the 2014 movie, the King of the Monsters is now the King of Toy Box. 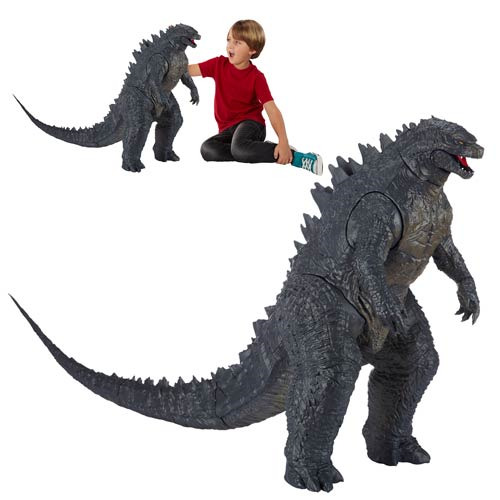 Godzilla invades your collection at an insanely huge 24-inches tall! He features 12 different points of articulation, and the tail alone sports 3 points of articulation when attached to the figure. Godzilla comes in an open tray display box, but you know Toho's most famous kaiju can't wait to be opened up to stomp your other action figures! Ages 3 and up.